ISO 14001 is an internationally accepted standard that outlines how to implement an effective Environmental Management System (EMS). BioLogiQ provides a full range of EMS and ISO 14001 services to minimize risk and liability, reduce cost and improve efficiency, productivity, profitability and reputation. ISO 14001 can give you a competitive edge but increasingly it is a minimum requirement to stay in consideration in the marketplace. As a result, often the question is no longer can a company afford to implement an environmental management system but can it afford not to. Take the decision to place sound environmental management at the heart of your operations now to achieve sustainable success. A well-planned and effective implementation will enable your organisation to quickly recoup the associated costs and to go on realizing the cost savings associated with pollution prevention, minimization of energy and waste, improved regulatory compliance and a reduction in environmental liabilities associated with poorly managed activities. There are also the additional reputational benefits of third party verification of the quality of your environmental management processes which can help maintain existing business or obtain new clients. Your environmental management consultants can help you with any level of advice or assistance, from the development of specific system elements, individual requirements or training programs to a full system development and implementation. 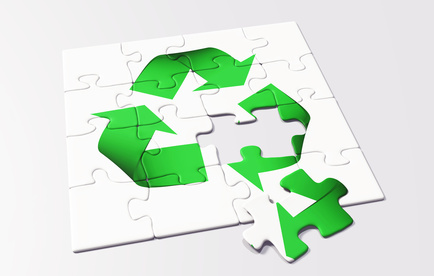 What are the steps to certified environmental management? Contact us to discuss the best way to get started with ISO 14001 and discover how environmental management is the right choice for your business now and in the future. ISO 14001 is an internationally accepted standard that outlines how to put an effective environmental management system in place. It is designed to help businesses take their environmental responsibilities into consideration to boost commercial success while reducing the environmental impact of their activities. An ISO 14001 EMS provides the structured framework you need to meet legal requirements and growing customer expectations in relation to corporate responsibility. Plan for your future by applying ISO 14001 to your business. Work with us to build your environmental management system that cuts out waste, create new business opportunities and make your processes more effective. Effective environmental management becomes easier with buy-in from your whole business and every organisation, be it SME or multinational, is at a different stage with their environmental plans. This is is why we offer ISO 14001 packages customised for you. Your ISO 14001 package will include the right mix of services your business needs to get your environmental management started by addressing the tasks required and any specific challenges you face. Based on your tailored ISO 14001 Project Plan, we will work to adapt your existing systems, guiding you step by step through the implementation process. Pre-certification audit. First we review your readiness for assessment by checking if all the necessary ISO 14001 procedures and controls have been developed. Where we find gaps, we work with you to close them. Once all requirements are in place, we then assess the implementation of the procedures and controls within your organization to ensure that they are effective as required for certification. Certification and beyond. When you have passed the certification audit you will receive a ISO 14001 certificate which is valid for three years. Your environmental consultants will stay in touch during this time, making timely visits to review your system to maintain its effectiveness and exploit opportunities for improvement. Your environmental management consultants can help you prepare for direct certification to the new version of the standard or for an upgrade from an existing ISO 14001:2004 certification. We also provide training in the transition to ISO 14001:2015. Evaluate and implement changes to improve your organisation’s EMS to meet the ISO 14001:2015 standard using the unique iemaSTS EMS Gap Analysis Tool. Whether you’re starting the certification process, scoping out your environmental management system or just need to discuss options for your business, contact our expert team to guide you through the process.